We are often use online editors, like webmail as an email editor, Google Docs as Office suite replacement for simple Word and Excel documents. 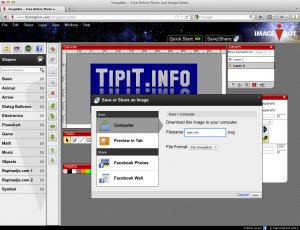 Even photo manipulation web tools are popular. Recently I found out that the first free vector art library OpenClipart is using a online web editor to edit their .svg files. Even was ignored by major vendors like Adobe and Corel, .svg format is popular to InkScape users. The tool is pretty simple to use. 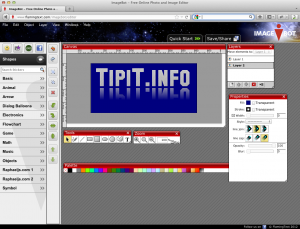 You can easily and fast create banners or buttons. You can work with layers, basic shapes and some effects. You can also save the work as png, pdf, svg, or jpg. I will recommend for web use or for print just for small formats. That is because the effects are rasterized as bitmap no matter if you save as pdf or svg. 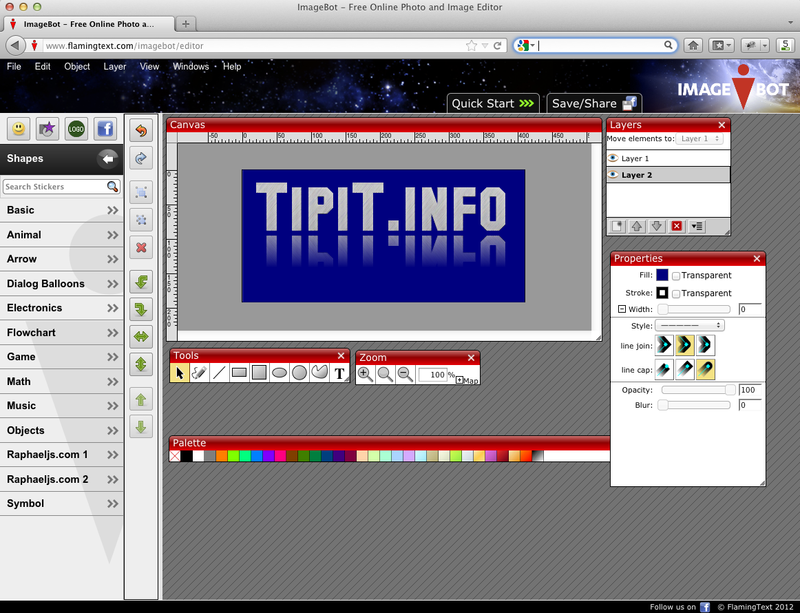 So it is not a true vector editor, but very useful for quick projects.